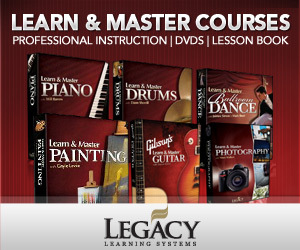 One of my favorite classes in college (I majored in K-12 music education) was called elementary music methods. We studied about the different theories and methodologies of how to teach kids, like with Orff and Kodaly, we observed great teachers and taught kids, and we created manipulatives that we could use in our own classrooms one day. 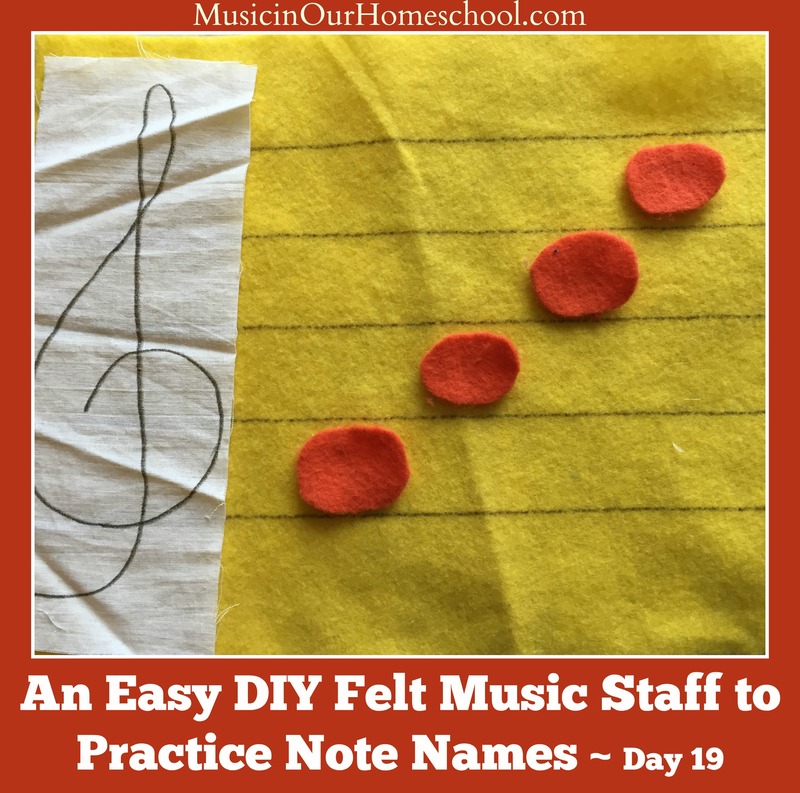 One of my favorite manipulative is a DIY felt staff to practice note names. It’s quite simple to make. Cut ovals for the notes out of a different color of felt. 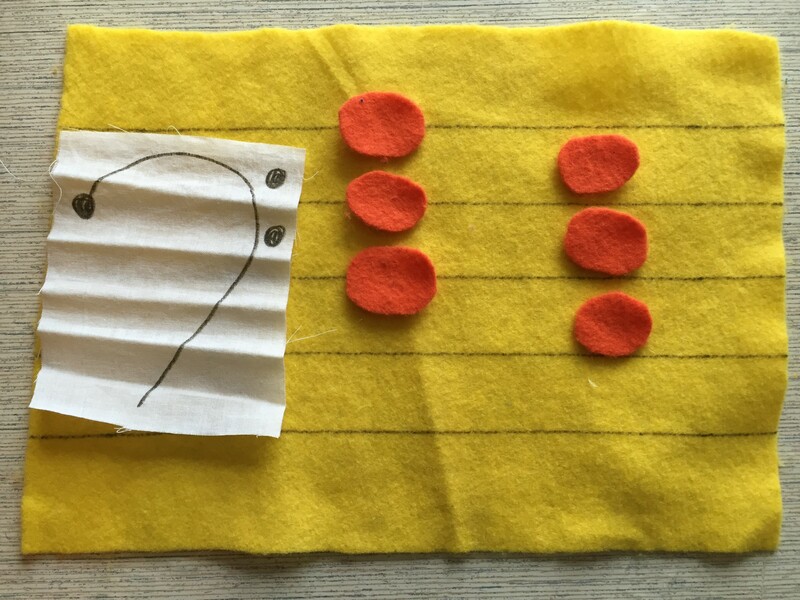 Make a treble clef, bass clef, sharps, flats, and naturals by drawing on pieces of felt or fabric. You can also make ledger lines if you like. Teach them the notes of the staff. Many like to use a fun sentence to remember them, like Great Big Dogs Fight Animals for the lines of the bass clef. Have kids recognize whether notes are repeating, stepping, or skipping. Do a race. Say a note name and let them put the felt note in place as quickly as they can. Practice writing scales, triads, broken triads, and chords in various inversions. Spell words with the notes, such as BEEF, BAD, ABE, and CAFE. Have them write out a phrase from a piece of music they are playing or singing. 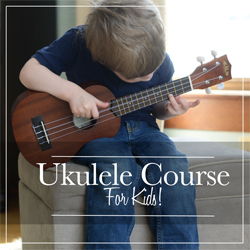 Do you have a fun DIY hands-on music idea? Please share it with us!